Ten years ago, I lead a grassroots effort to convert 15 acres of open space land into a community agriculture project. 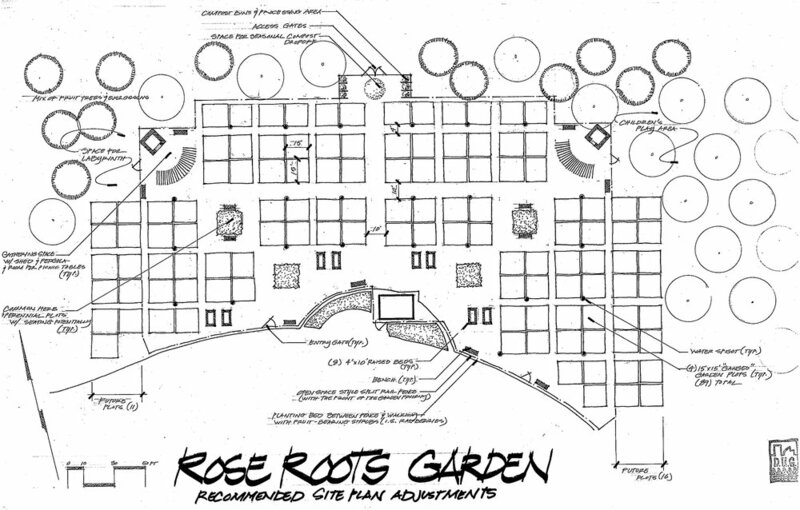 Today, that land is now known as the Rose Roots Community Garden and Star Acre Farms. Much of the work was done when my kids were napping or at school, and it has turned out to be one of the most fulfilling projects I've ever been apart of. The project broke ground in 2012 and is now a beautiful 100 plot community garden, 3 acre CSA, and is planned for a community orchard. I knew that I could find land to plant a trial run with the lavender I brought back from Palisade somewhere within the community garden, but I also knew it was a step in going public with my dream. Like the tiny sprout that takes a risk and breaks through the dark soil, I too had to take a risk and put myself out there. Most people in the garden plant their 10x10 beds with the staple garden vegetables: tomatoes, zucchini, onions, swisschard, lettuce, herbs, beans, squash, peppers, sunflowers, and marigolds. There are some adventurous gardeners that explore heirloom varieties but planting strictly lavender was pretty unusual for our garden. I did enjoy seeing the expressions of curiosity on peoples faces when they saw what I was doing. And all of their questions only fueled my excitement giving me more reasons to talk about the dream I'm trying to unfold. How well is the weed block standing up to the sun? When does each cultivar bloom (some did in early spring, other in summer, and some in fall)? What the difference in appearance, texture, and smell? How do the plants grew from 1 gallon pots vs. 3" pots? Is the drip irrigation stayed in place? How well do the cultivars dry, taste, and smell? And this one I won't know until next year, but which ones survive the winter? Twenty four plants went into the ground at the community garden, and another twenty went in at my house. I begun cultivating a new dream. I am taking copious notes and love learning about all the different varieties (aka cultivars). As for my anxiety about doing this public, it was actually no big deal after all. One of my favorite things about community gardens is that when you are at the garden all differences fall to the wayside...politics, socioeconomics, age, gender, ethnicity. When your hands are in the soil its easy to let your walls down and connect with people. I've come to believe that gardening teaches us to become better risk takers. Every season we plant a garden is an opportunity to practice taking risks. Gardeners spend hours cultivating the soil and years trying out new seeds, knowing that some may perhaps never sprout, and some may not even taste good even if they do. But there's always that chance of finding something spectacular, and there is no other place I'd rather take a chance than in my own garden.